.... I really like Benefit makeup but sometimes i go to my nearest beauty counter and just buy something because of the glam packaging even if ive not tried samples or read reviews, thats my flaw! A four-piece makeup kit featuring Benefit's top sellers. This set is the most flawless gift of all, featuring a watermelon-pink blush, an ultra-shine lip gloss, a do-it-all mascara, and a radiance-boosting luminizer, all tucked inside a brilliant, collectible box. Yeh really good value for your money - the set cost me £18.50 from asos which was cheaper than buying Bella Bamba on its own rrp £23.50. 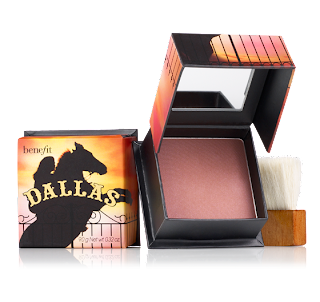 The only item i have used before was bella bamba, i love bella bamba's bright pink tone with golden undertones i wear this everyday, i purchased this again in June in duty free whilst going on holiday and i still have some left! if you like bright pink blush for your cheeks buy bella bamba as its great value and lasts a good amount of time before you need to touch up or re-apply. 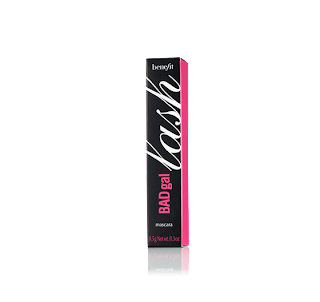 It is a primer its a great luminator and highlighter, i found my make up lasted a little while longer than when not wearing a primer, my baby size ran out but i wasnt entirely confident in buying the full size product. im still on the hunt for the perfect primer. 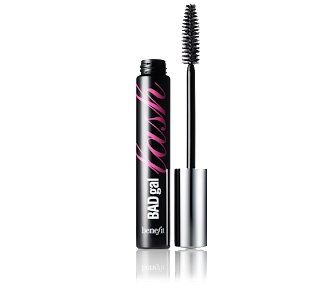 I have basically no lashes so when i try mascara i look for ones that enhance what i have and create longer fuller looking lashes, very hard to please me haha ... although i liked the mini Badgal this will just be in my bag incase i ever need to use some mascara i wont be purchasing this as at £16.50 a pop i dont think it fufills its ' extra full lashes... then flutter away' credential. 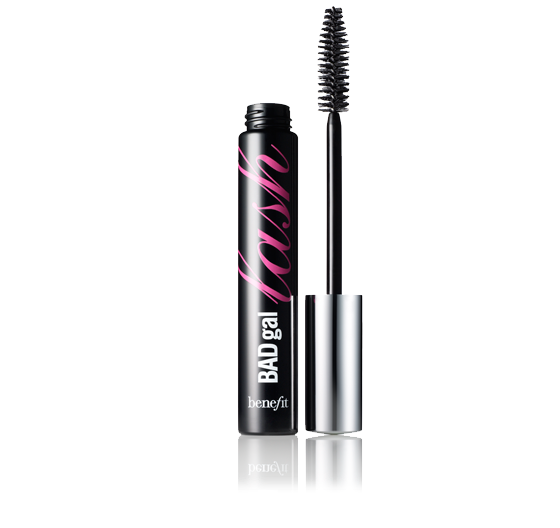 it just seemed like any other mascara to me. 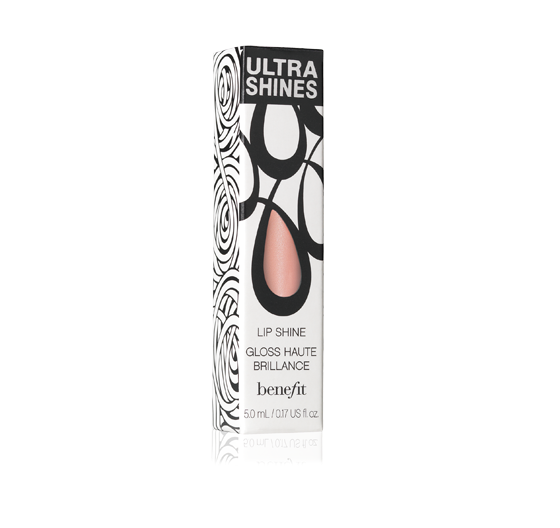 I was really excited to get this little pink number in 'Foxy Lady' i really like my lipglosses and i have purchased this in 'Spiked Punch' and 'Dancing Queen' (dancing queen goes fab with bella bamba blusher), after one coat this lipgloss is shiney and even! Great £14.00 spend! 'That gal' is another of Benefits primers, it is one of the top sellers. Basically you twist the base until the silky pink primer disperses, the primer is distributed on the top, you apply with fingertips onto the face. 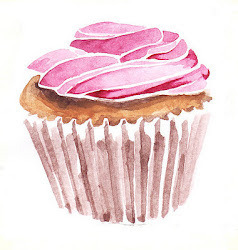 the smell is the best bit about this product its fresh and really sweet. Wearing without foundation it gives you a healthy glow which many people complimented me on. Although i do feel this was a waste of money as it didn't last entirely long, no more than one month. i got this foundation in medium, this product smelt nice and also came in a nice packaging with a compact mirror however the product started to disappear quickly I had been using minimal amounts for about a month it has nearly run out, I think this product should have more quantity so the price would not seem as expensive also, after a few days it made my skin dry around certain areas, i wouldnt be buying this again as it doesnt seem worth the price (£23.50). 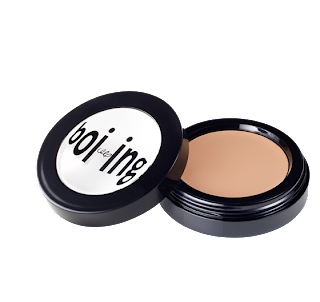 This covered all spots, blemishes, uneveness and redness,when my foundation won't cover it, I use the medium one and it is perfect. It looks lovely and natural and actually stays on. It keeps all redness hidden, but I would recommend it for under eyes (dark circles) it covers them right up! I am very fair skinned, and have always had an issue with bronzers being way too orange on me but I think it's the perfect bronzer to give the skin a healthy glow. I like that it's matte, it can double up as a contour too. 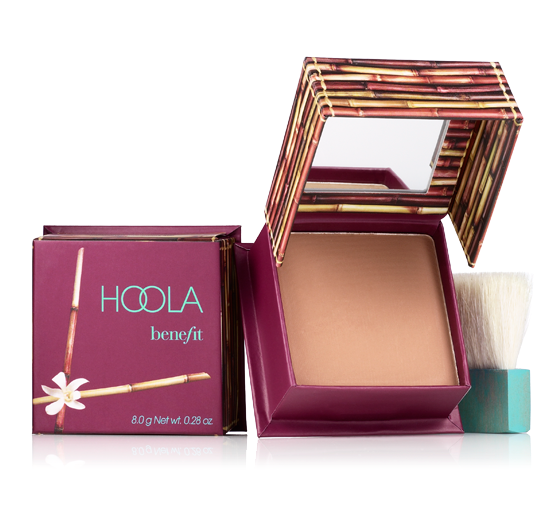 I like to mix Bella Bamba with my Hoola, I first apply Bella Bamba to give my cheeks a nice rosey glow, then I sweep Hoola on top in order to give me a bit of a bronze affect too! Also, it has the cutest little box packaging, and it comes with a good quantity of product. 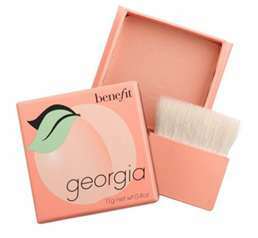 georgia is a discontinued blusher from benefit but you can still get your hands on it through Ebay, When applied, it gives your cheeks a nice glow. It is not extremely pigmented, but it goes on well, and is packaged in a cute box. i didnt really like this blush just as its too peachy for my liking i like more pink blushes than peachy ones. 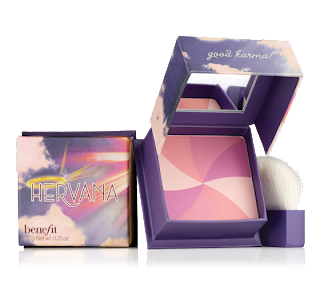 im switthering whether or not to buy this it looks quiet light but there again i could be wrong ... have you tried Hervana blush yet ?